White spot disease is one of the most common parasitic conditions affecting tropical aquarium fish . Since the protozoa Ichthyophthirius multifiliis is responsible for it, the disease is often referred to as ich, or even ick (less commonly). As apparent from the name, this condition is characterized by the appearance of small white spots all over the body and gills of the affected fish . However, this happens during a more advanced stage , and it would be better if you can suspect something before it goes that far. In most cases, the presence of the parasites goes unnoticed before the infection spreads into larger areas. 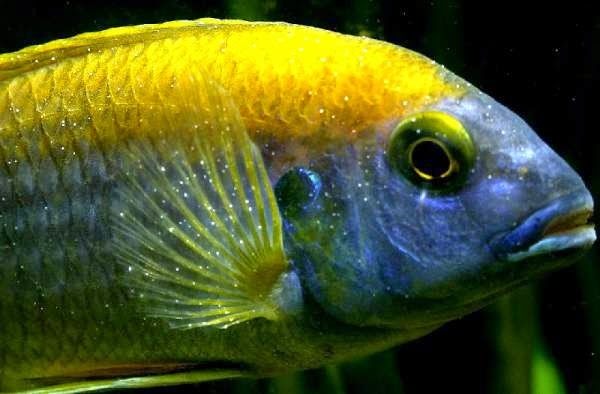 So, it is important to understand what increases the risk of a fish catching the parasites, and keeping a close eye on the inhabitants of your aquarium. 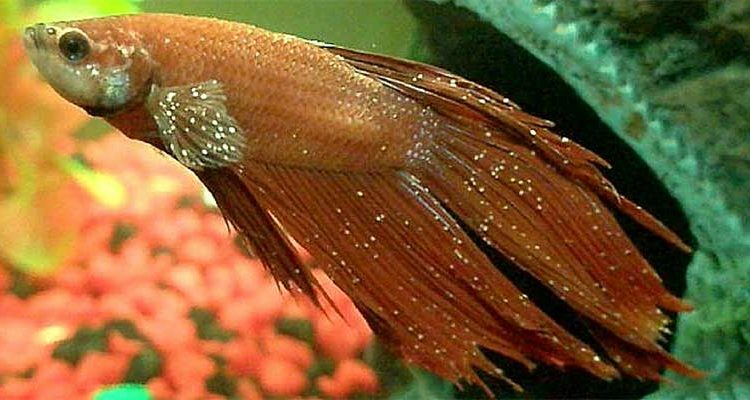 It is worth mentioning that your fish developing white spots on its body may not always mean that it has ich. Flukes, a parasitic worm that lodges to the gills of a fish, may also look like white spots,, but these are usually larger than those caused by ich. Another, more obvious cause may be introducing an infected fish or decoration to a tank. 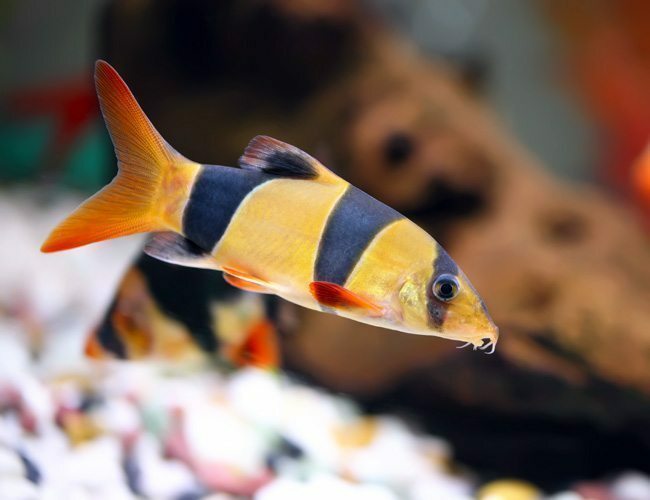 It can affect any saltwater or freshwater fish , but as over 97% of fishkeepers in the US keep a freshwater aquarium, it is detected more often in the latter . 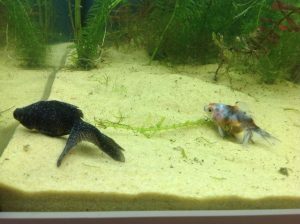 However, according to some fishkeepers, smaller fishes (gobies), and fishes that do not get stressed easily (e.g. 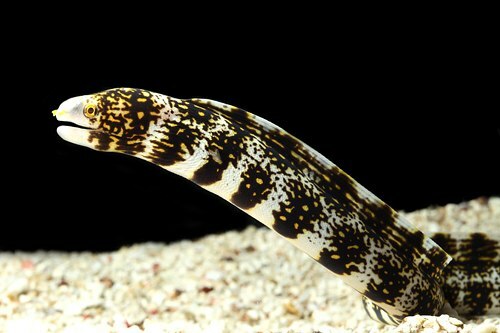 eel and dragonfish) are less likely to be affected by these parasites. 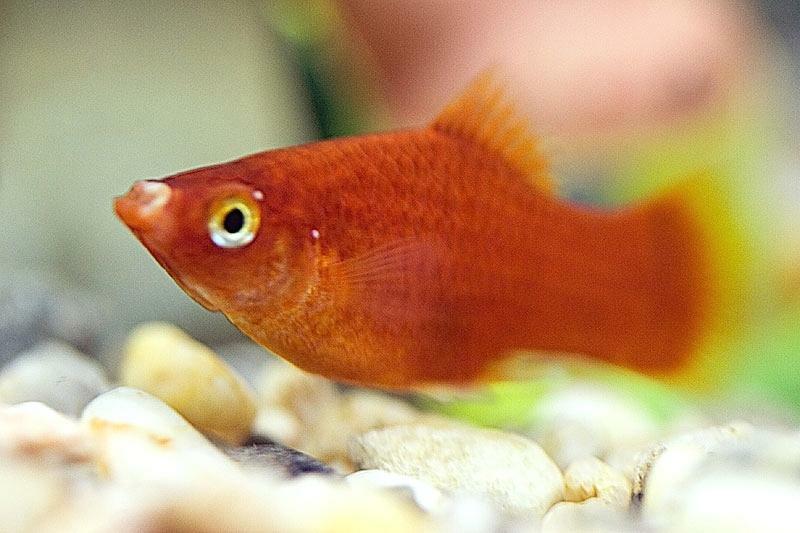 Knowing what the infection does to your fish is essential in understanding how the treatment should work. The infection-causing units of the parasites (called tomites) attach to the fish’s body, starting to feed on its skin and tissues, leading to irritation to the fish. The immune system of the fish then kicks in, and begins forming a wall around the affected areas to keep the parasite out. However, this actually causes the parasite to move to the adjacent skin to continue feeding and growing. A new protective wall is then formed around the new area. This way, the parasite keeps affecting larger and larger areas of the fish’s body, while the encapsulation also continues, which does not help in keeping the infection from spreading but interferes with the treatment by making it difficult for the medicines to reach the parasites . The protozoa develop within those cysts (this stage of their lifestyle called ‘trophont’), and then breaks through into the aquarium water, where it divides into multiple infection-causing units (tomites), moving on to find new hosts. 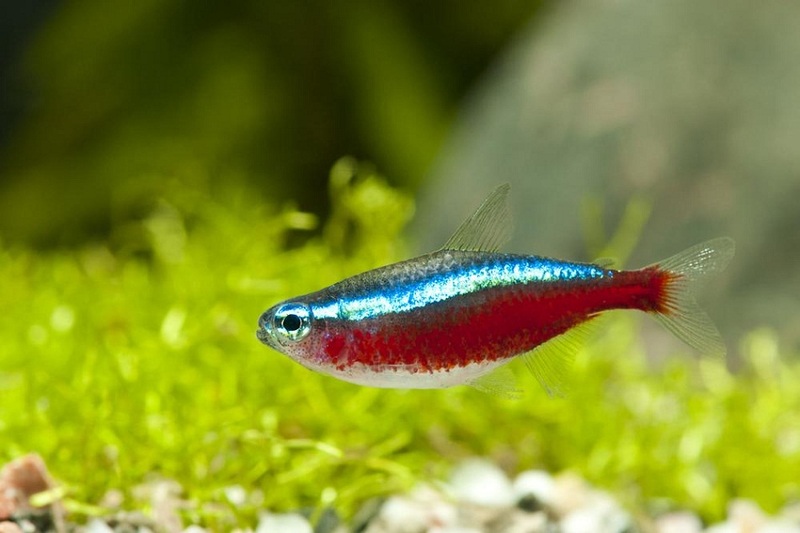 For the treatment to be successful, the first thing to understand is that to get rid of ich, you need to treat the tank and not just the affected fish. Since the protozoa grow pretty fast, and the symptoms usually do not become evident in the earlier stage, by the time you spot ich in one fish in an aquarium, the whole aquarium is contaminated. 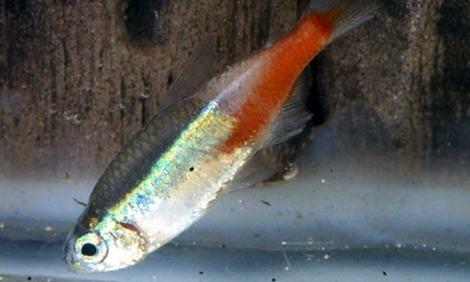 Which means, quarantining the affected fish will not keep the other still-healthy fishes safe from the parasite, which is also present in the water, trying to settle on a new host. The protozoa are vulnerable to treatment only during the time they are multiplying into smaller infectious units and when these units (tomites) roam the water looking for new hosts to infect. The tomite stage lasts for up to 48 hours, and if they cannot find a host within that time, they die . Their life cycle is heavily dependant on the water temperature. At 60°F-75°F, the protozoa remain attached to a fish for 5-7 days, meaning that the treatment will have to last for over a week. However, if the temperature can be raised to around 78°F to 85°F, the parasites grow quicker, so the time for treatment reduces as well. Make sure you fishes can tolerate such high temperatures . Most ich medicines contain the active ingredients formalin and malachite green, individually or in combination. Other combinations containing methylene blue, copper, quinine hydrochloride, potassium permanganate, and sodium chloride baths are also available, but the formalin/malachite green treatment is often recommended as they are more easily available, and believed to be as effective . Consult a fish vet to find out if any of the active ingredients can be harmful to your fish, or any aquarium plants or other organisms. Formalin is stronger than malachite green, which means it is more effective in killing the parasites. But, it is also likely to be rougher on the water, plants, and any scale-less fish . Malachite green may be harmful, or even toxic to some species of fish (e.g. sunfish, neons, scale-less fish) . For application of the medications, follow the instructions given on the label of the medicine properly, and apply according to the size and type of your aquarium. If you are a beginner at fishkeeping, it would be advisable to ask for professional help with removing ich from your fish tank. During the course of treatment with malachite green, the aquarium water may get a bluish tint, but it is not detrimental to the water quality. It may stain some decorations and accessories as well . The medication should be repeated as prescribed, or directed on the package. One application may kill all the tomites, but those still attached to the fish body are immune to the medication. But shortly (due to the increased temperature), they leave the fish and start multiplying into new tomites. So, without a repeat application of the medicine, the parasite will again be able to attack new fish. It is absolutely necessary to complete the course of treatment to get ich out of the tank, even if there seem to be no symptoms . 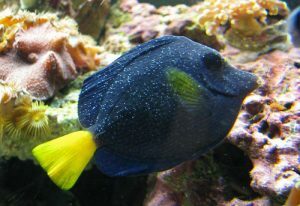 For treating any scale-less fish, many fishkeepers prefer only the heat treatment, as medications and salt treatments are likely to cause more harm. Prevention is the best cure for this infection, and since there are only two ways in which it usually occurs, it is possible to keep it from coming by taking proper care of your pets and their tank. Make sure there are not sudden change or fluctuations in the water temperature, ammonia, and pH levels . Provide your fish with a combination of clean healthy frozen, flaked, and freeze-dried food. Always understand the capacity of your tank, as overstocking a tank adds to the stress of the fish. Do regular water changes, as needed by your tank. Do not house fishes together that are likely to fight and nip each other . Keep any new fish in a quarantine tank for about 2 weeks, and plants for about 4-5 days, before introducing it to your main aquarium . Also, boil any pebbles and other decorations before putting them in the tank . Since the presence of the parasite is not always apparent from the very beginning, the infection often gets serious before you know it. Ich does not go away on its own, and since the contagious parasites have such a high reproductive rate, they can infect a whole tank within a short time. 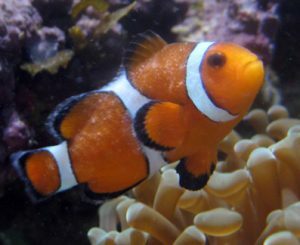 Without treatment, it might kill all the inhabitants of an aquarium within 5-7 days, depending on the size of the tank and the number of fish . So, taking action the moment you notice a single white spot, or a fish behaving oddly is the only way to get the parasites out of the tank .